An integer a is said to be regular (modr) if there exists an integer x such that a 2 x≡a (mod r). 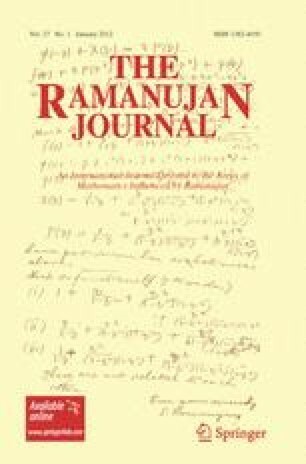 In this paper we introduce an analogue of Ramanujan’s sum with respect to regular integers (modr) and show that this analogue possesses properties similar to those of the usual Ramanujan’s sum. Financial support from the Magnus Ehrnrooth Foundation is gratefully acknowledged.